Dad osprey dove steeply into the water, feet first. Alas, he missed his fish. Ospreys succeed in about 1 in 5 tries. 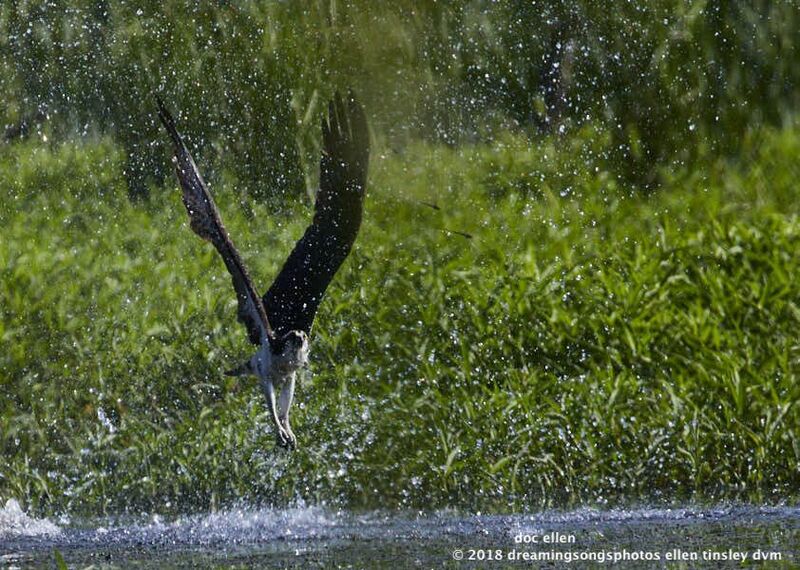 The spray from his wings and the impact of his body flung water far and wide. He managed to soak two dragonflies. I commiserated with the dejected look on his face. Posted in birds, Jordan Lake, Jordan Lake State Park, ospreys of Jordan Lake, photography, raptors, wild birds and tagged as Jordan Lake, Jordan Lake State Park, male osprey, osprey, osprey fishing, ospreys of Jordan Lake, raptor.